In the last years, the Podcast industry has boomed. From San Diego to Shanghai we saw the rise of hundreds of podcasters. In the US alone from 2008 to 2016 the podcast consumption grew at a double-digit rate, and it does not seem to stop. What makes the podcast industry so amazing? Let’s dive into it! Is it worth your time listening to a podcast? Simply put, a podcast is the on-demand version of the radio. In short, during the 80s you had to rush to listen to your favorite DJ speaking through the radio; nowadays you can listen to your favorite show at any time, anywhere, with a single finger’s tap. The most significant aspect of podcasting is the fact that you can listen to your favorite show while you are doing other things. On the other hand, you have to be careful how you use this fantastic tool. Although I do not recommend you multitask. There are certain situations in which, listening to a podcast while doing something else may enhance your productivity. In short, specific activities do not get along with podcasting, while others do. The fundamental principle is to avoid those activities that use the same part of the brain than listening to a podcast requires. In other words, it is essential to prevent those activities that require deep or full attention (such as reading). Therefore, the more action comes automatic, the better that is suited for listening podcasts. If you need inspiration on when is a good time to listen to a podcast check out what other podcast lovers say on Quora. On the other hand, I suggest a balance. Even though, those activities are “mindless” it is essential to use them to be practice mindfulness. Therefore, the 50/50 rule applies. Thus, entirely focus on the mindless things you are doing for half the time. Use the other half of your time to listen to your favorite podcasts. Now that we defined the best way to use this fantastic tool let’s see what the business podcasting world offers to you. 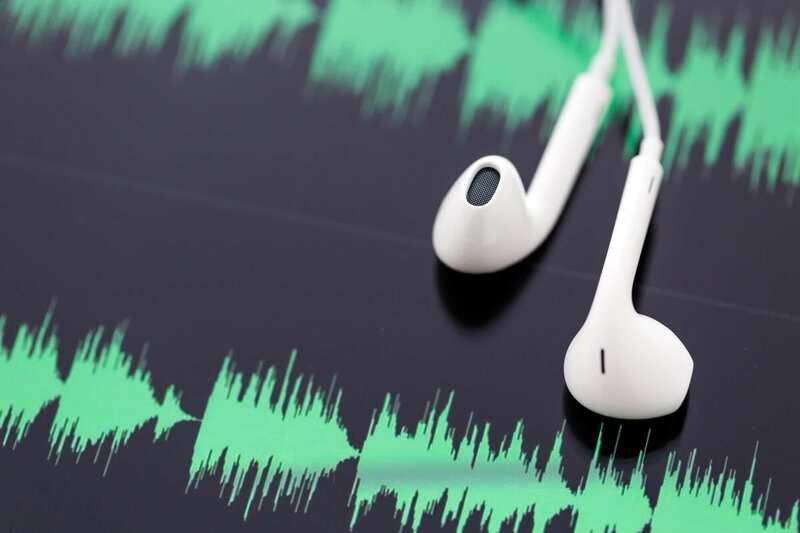 We are going to recommend a few podcasts that can enhance your business acumen. Also, for each show, we are going to suggest some good episodes. By the end of this article, you will have a list of podcasts you can listen thru for the whole year. This podcast is a must have in your audio list, especially if you are a founder or you run a startup! This is The Podcast if you’re trying to make a difference with your product as it helps decode how cultures are created! We suggest going through all of the episodes! Hosted by Reid Hoffman, co-founder of LinkedIn, former PayPal Mafia and author of Blitzscaling (I also put together the Blitzscaling business model innovation canvas) Masters of Scale is a resource you can’t miss. Plenty of useful interviews to entrepreneurs masters of scaling business, this podcast is incredible! Hosted by Neil Patel and Eric Siu, this podcast assembles a few essential pills for marketers. The format if quite interesting as in a short episode encapsulates the experiments those two marketers have been going on. It’s is the most hands-down and practical podcast, which helps you to have actionable insights to grow your digital business. Hosted by the homonym platform for growth marketers, entrepreneurs, and startuppers. It is another of those podcasts you can’t miss. As this entered The Four-Week MBA podcast list recently, we’re suggesting you get on their page and start listening as many episodes to judge yourself what are the most relevant. Stephen Dubner, the co-author (with economist Steven Levitt) of the most original economics book, Freakonomics, is also the author of the homonym podcast. The uniqueness of this podcast stands in Dubner’s ability to address a major issue in the most entertaining way possible. Also, in many episodes, Dubner brings the economic theories to test them in the real world. If you want to develop a real understanding of economics, away from the sterile world of academia, this podcast must be added to your library! In Business Mastery | Five Must-Read Business Books in 2017 Pat Flynn’s book, Will it Fly was recommended as one of the best business books to read in 2017. In addition to that, Pat Flynn’s podcast, The Smart Passive Income is an endless stream of invaluable resources that can help you boost your business and bring it to the next level! John Lee Dumas, the founder & host of EOFire (Entrepreneur On Fire), is among, the most successful podcasters in the world. Among his most successful enterprises, there is The Freedom Journal, a tool that helps you to set, implement and achieve any goal within 100 days! With a total gross income of almost $2.5mln for 2016, you can understand the level of success that John Lee Dumas reached in only a few years. As you can imagine, he attributes part of his success to his ability to set, implement, and track his goals. Dumas’ podcast is the manna for aspiring businesspeople. When I first started to write, I needed someone that I could use as the source of inspiration. Although reading the classics helped me a lot, there is one person that I believe has an amazing story-telling ability, and that is James Altucher. Not only I find his writing skills superb; this man also put together a podcast series, where he interviews many incredible people. What sets James Altucher (pronounced as he specifies “James I’ll touch her” but very fast) apart is the ability to talk about his life’s failures like none in the business world. Saying that his life has been a mess is a euphemism (he made and lost millions several times), yet he tells it outspokenly, and he is now more successful than ever! In this blog, the name “Tim Ferris” showed up in many articles (from Solopreneurship 101: Finding Your Muse a La Tim Ferris (How to Find Your Business Muse in Three Easy Steps) to MBA or Start-Up? The three variables to take into account). Therefore, Ferris does not need any presentation. His show is among the most useful in the world for a few reasons. First, Tim Ferris tests everything he does. In other words, when he gives you the advice; you can expect it to be real. Second, his podcasts span across several disciplines; from business to dieting, there is a broad range of resources that Tim Ferris makes available to his audience. Third, there are few people in the world with his ability to deconstruct world-class performers’ routines, and habits and make them available to you! It is a podcast you must have in your library! thanks Jonathan, is there any episode you suggest?